"If you're looking for trouble, you've found it. The name's Jake G. Panda, and trouble seems to follow me wherever I go. I work in the protection racket at a flophouse for endangered critters called the Last Resort. I'm the hotel snoop. The resident fuzz. It's my job to keep these guests safe and outta harm's way. This is the first of my many misadventures. A wild and woolly mystery involving a lost suitcase, a green bird, and a bunch of double-crossing animals. 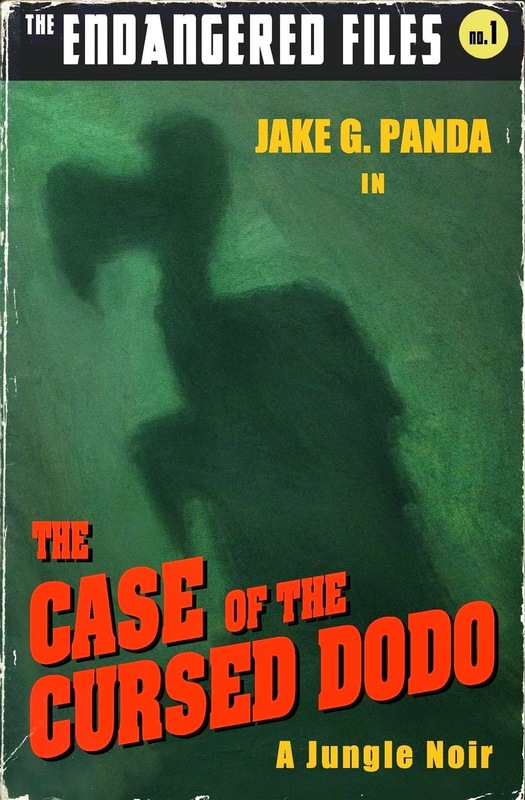 I'm calling this jungle noir The Case of the Cursed Dodo." Don't you see? That's the pattern for the whole book! It's fantastic. Clever, punny, creative, and hard to put down—it's all there. And with a new favorite character! Jake G. Panda is just the type of grizzly PI that is classic, yet hilarious. I love a book that can make me laugh. The other characters are also classic and satirical—they're all endangered animals. Like the dame? She's a Californian Condor in a platinum blonde wig. Yeah. Genius. They all are pretty well developed with their own issues and depth. Plus, there's the real issues of endangered species and poachers. The story as a whole? Well, first, it's written in a very unique way. It's not a book, it's a movie. It's a jungle noir! There's "cut to black" and "fade in" and Jake is narrating the whole thing. I liked it. Will everyone? No. And I wonder how kids would respond to it. I believe they could appreciate it... Besides, There's a LOT of action and a LOT of suspicion! It's exciting. But at some points, that did make it a little confusing ("wait, which bad guy is this?") and the mystery/case-to-be-solved isn't necessarily apparent right off. It builds as you go along. But still! I really enjoyed it. I'm recommending it for sure.